Brewskee-Ball http://brewskeeball.com is a sanctioned competitive sport currently played in New York City, San Francisco, Wilmington, N.C., Austin, TX, and now ColoRADo. The Skeeson starts October 3rd, and games will be played each Monday night at 6pm at the Tasty Weasel Taproom in Longmont. The season will go until every team has played each other. The league caps out at 18 three-person teams, and the cost to join is $60. The champs will get FREE entry into the next Skeeson. 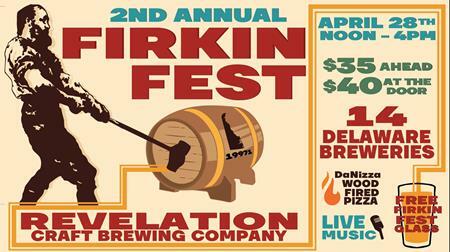 To sign up, players can email ob@brewskeeball.com. The Tasty Weasel will be offering “Skee fo Free” nights leading up to the tournament, stay tuned to the Oskar Blues facebook page for details. Created by the owners of Full Circle Bar in Brooklyn, NY, Eric Harris Pavony and Evan Tobias re-invented the game of Skee-Ball for adults in a modern and exciting way. Since establishing the first-ever competitive Skee-Ball league in New York City in 2005, Brewskee-Ball has fashioned a loyal network of teams, players and fans across the country. Dale Katechis, founder of Oskar Blues, got the BrewSkee bug on a recent visit to FCB. 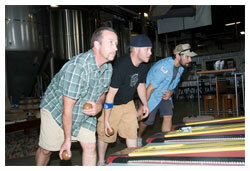 Dale, brewery president John Bryant, and a few other OB team members returned from their experience determined to bring BrewSkee-Ball to Colorado. FCB has garnered the respect and following of craft beer lovers as its selection of American craft beer in cans continues to grow, making Oskar Blues a natural choice for their Rocky Mountain connection. This affection has made FCB’s canned beer collection one of the most comprehensive in NYC with nearly 70 different American craft beers. FCB is complete with a professional Skee-Ball stadium where league and tournaments are played. There is a Hall of Fame, Wall of Champions, stadium seating and the bar itself is made from old Skee-Ball lane parts. Friends and fans can also watch all the Brewskee-Ball action on a TV above the bar, which shows live video of the stadium at all times.